Looking for cool kids watches? 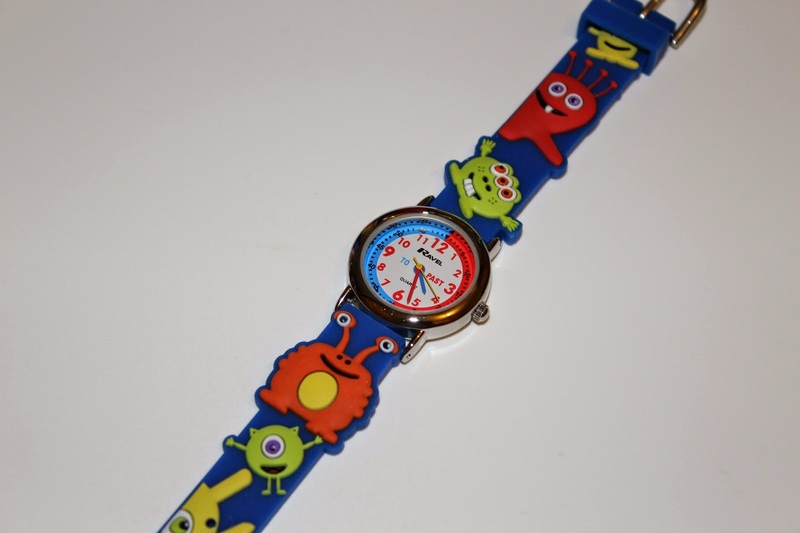 Ravel, who produce British designed watches for all age ranges and lifestyles have a big focus on quirky designs for young children that they will love. They would make a great Christmas gift for a good, affordable first watch. 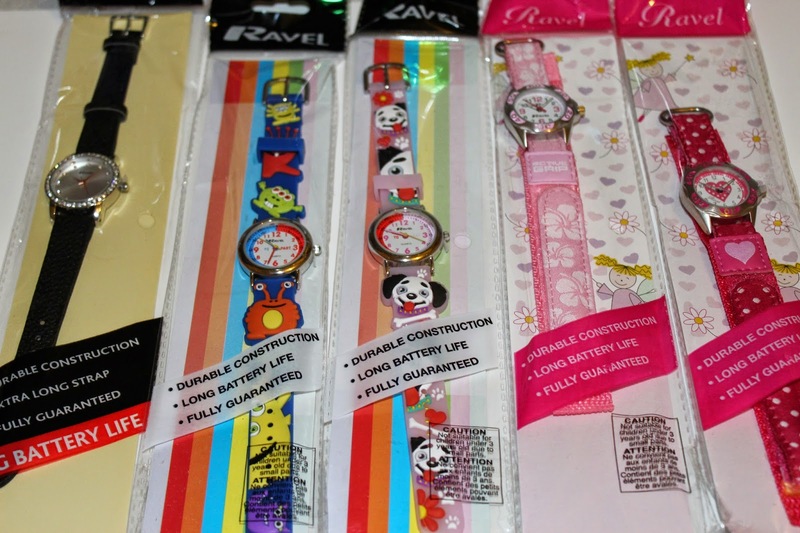 There's so many cute designs to choose from, there really is a watch for every boy and girl of every age. When faced with the choices shown above, my children were absolutely delighted to be given the chance to choose one of these watches each for themselves. Ryan went first as he's the youngest, he chose the blue strapped alien design which was the perfect theme for him as he loves aliens. Ryan is only 4 so he's not yet learnt to tell the time by himself but he was eager to get his watch on so he could try. It's a very cute watch with nice bright colours on it for him. The clock face itself is clearly marked and easy to read. It has one side red for the 'past' times and the other side blue for the 'too' times. It's nicely designed and very cute for young boys like Ryan. Next up to choose was Chloe who's my eldest daughter, she's 11 so went for the oldest looking watch out of the five. 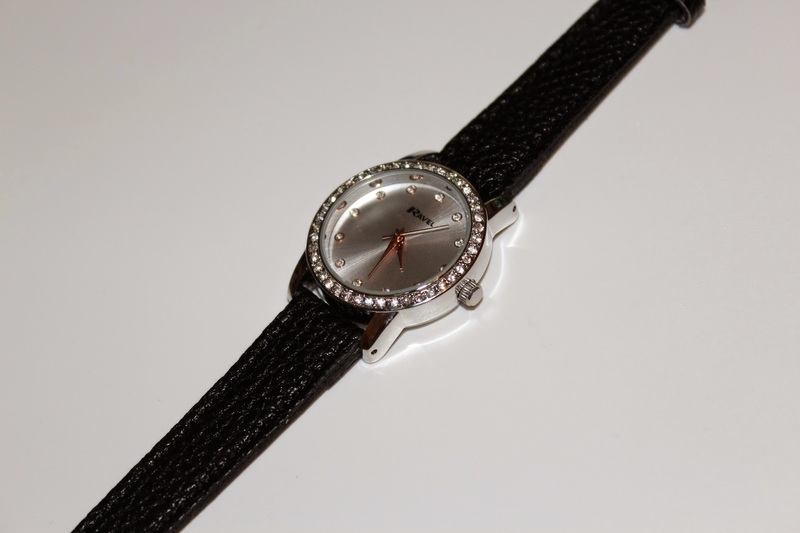 She chose a simply black strapped watch with a clean white clock face surrounded by sparkling diamantes. It's a very pretty choice. This watch could be the perfect gift for more confident time tellers or even adults. I wouldn't mind wearing this one myself but sadly Chloe got there first. There's no number written on this one, it's simply marked by crystal dots for each hour. It is lovely though. Third up was Lily, I wasn't sure which one she was going to choose a there was three left, all suitable for her age and gender. To my surprise she went for the pink doggies one. 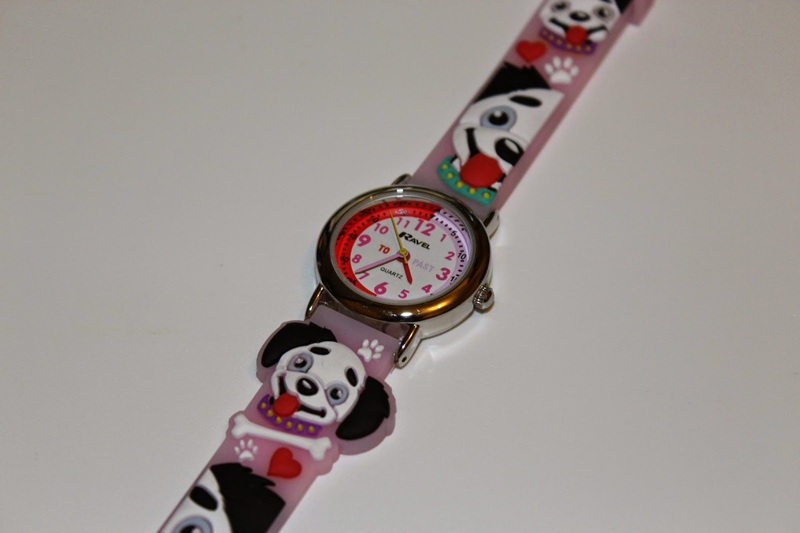 This one is a cute watch for the younger girls in your life. It has the two coloured markings to help with the past and too times but on this one they are shown in red and pink. It has a plastic feel strap with a simple buckle style clasp. It does up easily and stays on well. All three of the watches are now loved and used every day. 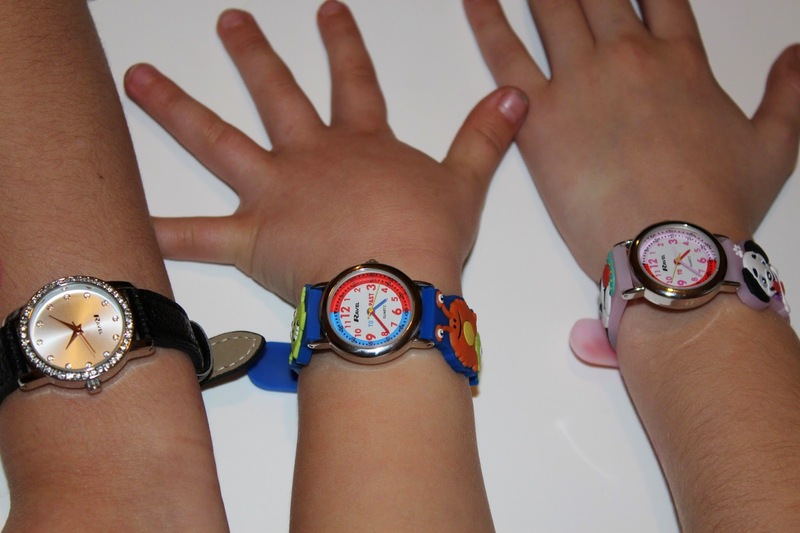 I have three happy children who are now enjoying their Ravel watches very much so. Ravel watches are lovely affordable watches and are available from many different retailers. They really do have a design and style to suite everyone in their range. Whilst we enjoy our new watches, I will leave you with one last thing. The Ravel Blog is a new addition to their range so why not pop over and check it out if you get a chance. Disclosure: We received watch our samples in return for an honest review.